I don't know how the proprietors of Finepuer.com found out (i) my identity and (ii) my work address, but I'm glad that they did, because they sent me a little gift in time for Christmas. This is a tiny little fangcha [approx. 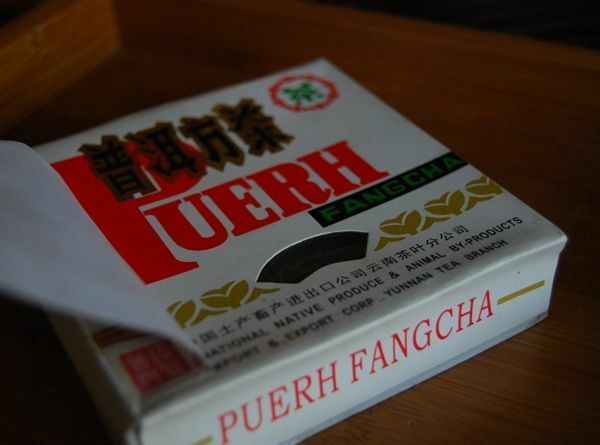 "fung-cha", or "square tea"], weighing just 100g. It's about the size of a large matchbox or two. 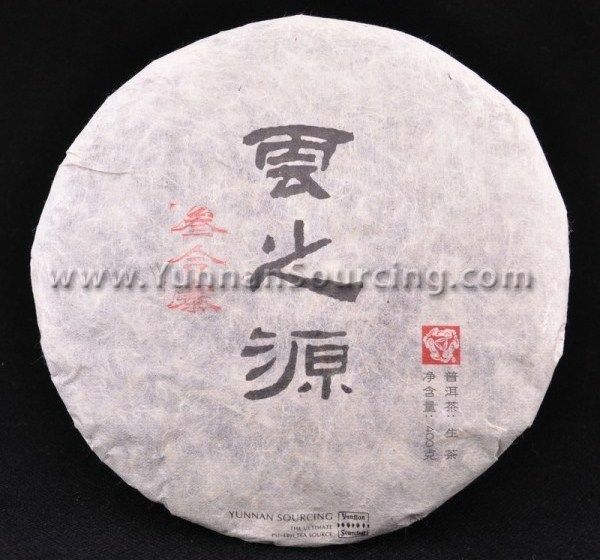 The packaging suggests that this is an old-fashioned Menghai Tea Company cake, not of the Dayi variety, and that it was probably made for export. It looks rather pretty. 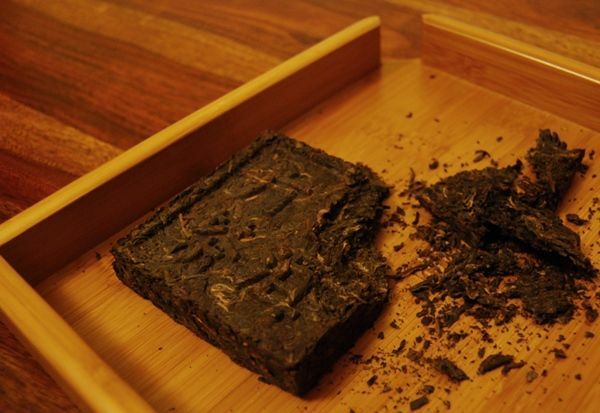 I'm not one for appreciating the various pictorial scenes that one sees occasionally carved into bricks of pu'er (usually bad shupu), but this little brick is most appealing. Perhaps unsurprisingly, the characters read "Pu'er fangcha", columnwise from right to left. The ordering of Chinese characters always amuses me. Sometimes, as in modern newspapers, the print is by row, from left to right, as would be familiar to readers of English. Sometimes, as in books (especially older books), it is columnwise, usually from right to left (but sometimes not). Sometimes, as in various tourist sites, it is by row, from right to left. Perhaps this latter case is a degenerate example of columnwise right-to-left, in which the columns are of height one. Sometimes the page order is from left to right, as familiar to Western readers; sometimes, one starts at the "end" of the book (in Western terms) and reads backwards. Usually, when it's a 2x2 matrix, you can bet on columns from right to left. Most of the time. The odds are in your favour in making such a bet, at least. The rear face of the fangcha, pictured above, is a tic-tac-toe grid, with single- and double-nodule bumps in each cell. You can tell that this is old-school pu'ercha because of the high degree of chopping and the high compression. This is particularly true in bricks, where the tea is often lower quality, and pressed together to allow all sorts of fannings to be used in the blend. It really is very hard work to remove a suitable quantity of leaves, as shown above. 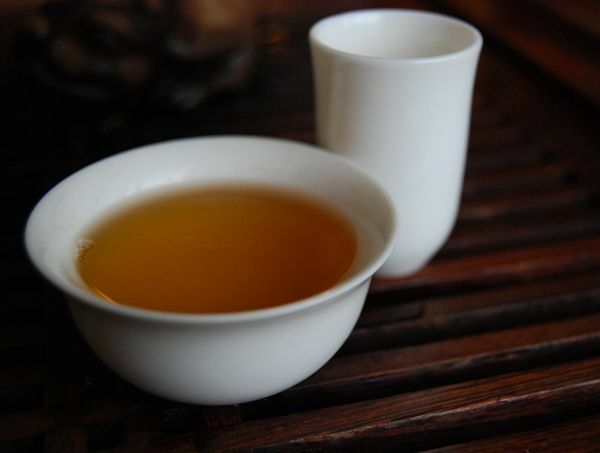 Thankfully, the result is worthwhile: it is pure Menghai, being sharp, potent, and straightforward. 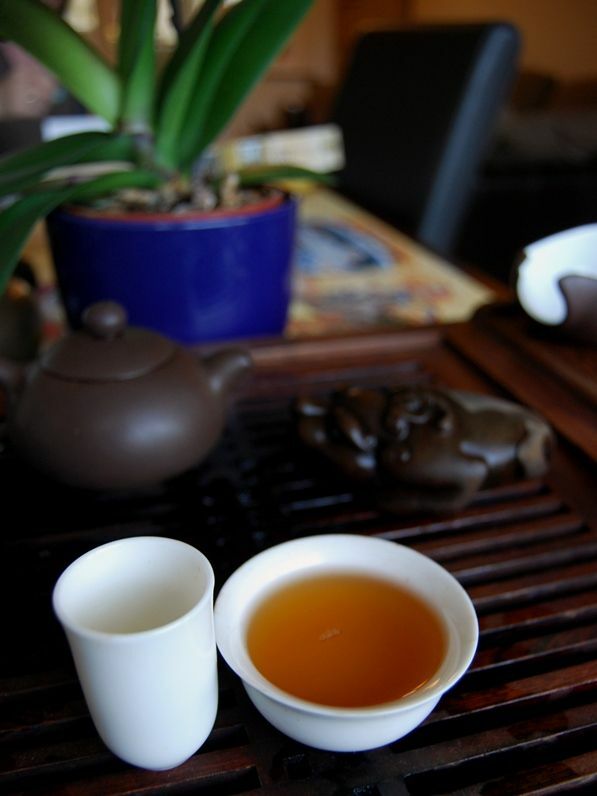 You know what you're getting, with Menghai. It marches on, infusion after infusion, with little diminishment, and little change, as you would expect from a chopped Menghai. 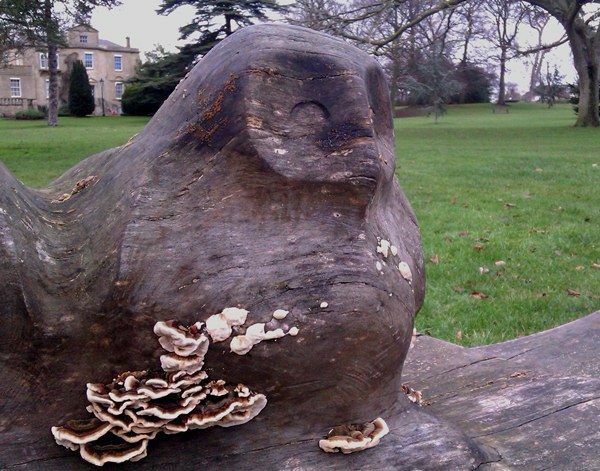 The years have been good to this little fellow, and it is adopting a sharp character of pine. Strong and continuous, I imagine that this cake will be worth playing with in more detail in... ten years or so, given the extraordinary compression of the leaves. I expect it to age slowly, but it has plenty of strength to develop. Thanks again to Finepuer for the generous Christmas gift, even if I don't know how you found me. Note to self for future reference: this fangcha sells for $34 at the company web-site, which might be a little high for my wallet. 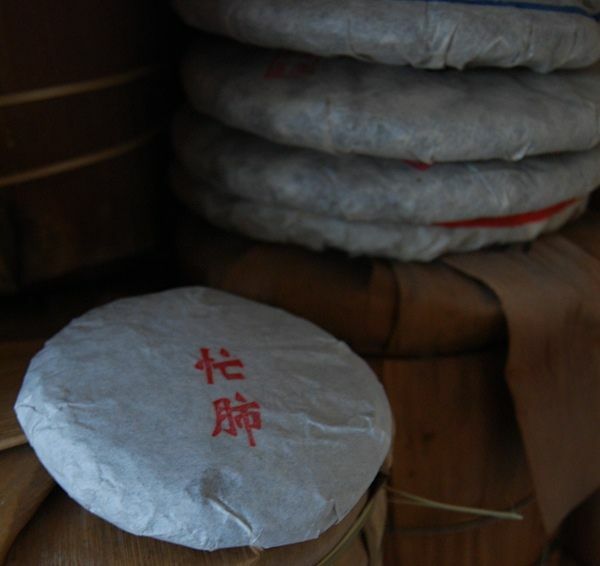 Xiaobing [sheow-bing], or little cakes, are a brilliant way to get to know pu'ercha. They are inexpensive and low risk, in that you don't end up with tons of wasted space and lots of unwanted tea if you discover that the cake is not to your fancy. I've had some great fun with various series of (good) xiaobing, and they have a special place in my affections. 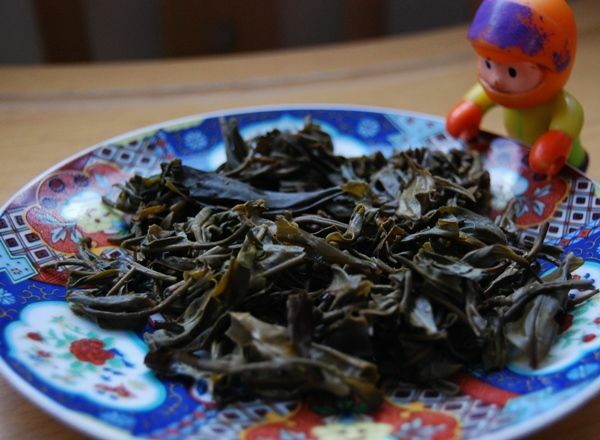 Scott of Yunnan Sourcing doesn't usually produce xiaobing. This little fellow, priced at a touch under $5 for 120g of leaves, would be equivalent to $14.28 per 357g bing-equivalent, which is a low price. The photographs above and below give you an idea of the miniature scale. 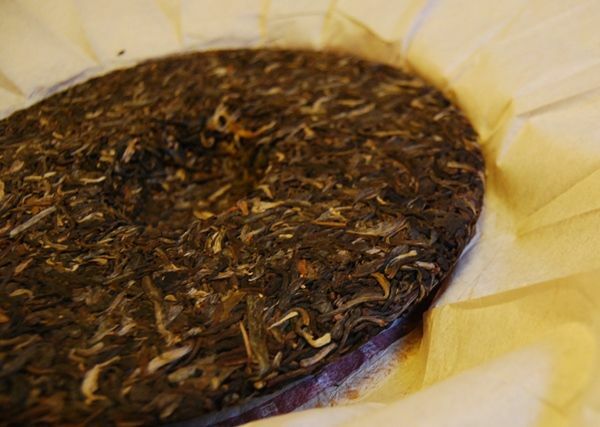 Some of Scott's productions seem to be made from maocha that he has acquired some time after picking, as is the case with this cake: its leaves were picked in 2007. 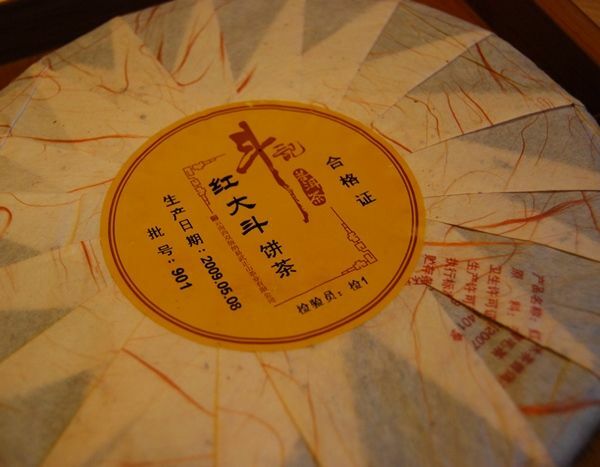 Mangfeishan [mahng-fay] is in Yongde County of Lincang prefecture, and the leaves stayed in Yongde until 2010, when Scott bought them and had them made into this range of "white label" cakes. Shown above, the dark, medium-sized leaves are easily separated from the cake. I associate Yongde cakes, for some reason, with being heavy and fruity, and this cake fits my preconception. Pictured below, the thick, orange soup has a strong, basic character suggestive of raw leaves. Husky, sweet, and very strong, I push this cake for a session of over 15 brews, and it does a goob job. After its four years of age, it still retains a hefty kuwei [bitterness in the throat] which is commendable. I read afterwards that Scott describes Mangfei area being known for the "brutality" of its leaves. It compares very well to the upper end of mainstream pu'ercha. The welcome brutality of this cake helped me over the remains of a cold. I postponed a pair of tutorials with my students, and was amused by the polarity of the results. On learning that I was cancelling due to illness, a girl in the first-year wrote back with a kind "get well soon" message; this contrasted with the amusing response from a chap in the second-year, who, after learning of the cancellation of a (fairly tricky) session on statistics replied with "Awesome!" 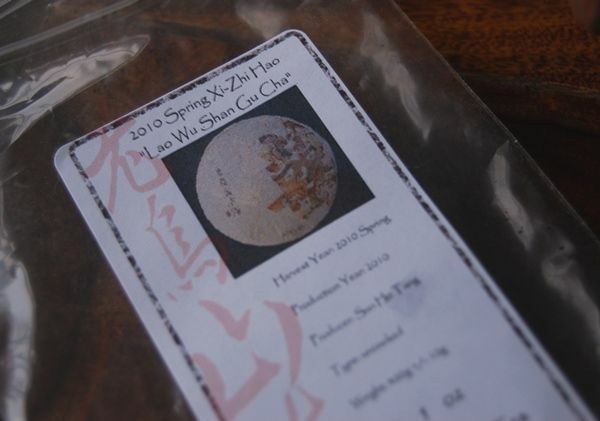 2009 Yiwuzhengshan - Douji "Hongdadou"
I've been enjoying a renaissance of blends, lately. Poking through the contents of my shelves, I came across this blended cake from 2009 that I don't remember buying. If it was a generous gift, then please remind me, and accept my apologies! 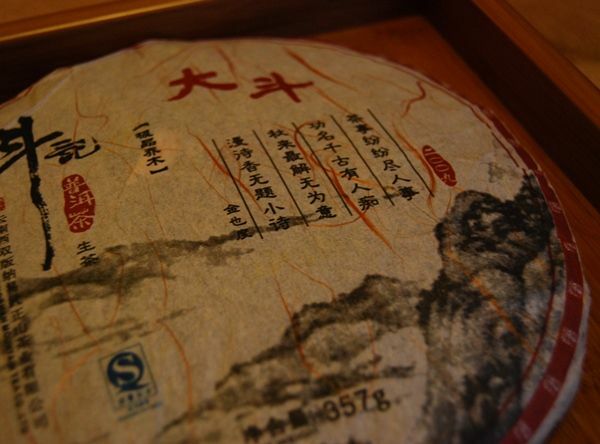 I've been writing about Douji single-mountain cakes from the 2009 period, which corresponds to a rather massive purchase that some chums and I made together from Taobao. Alongside those very solid "premium" productions come the various Douji blends. These latter often arrive as "red" or "blue" (hong- and lan-, respectively) versions of "da" and "shang" cakes ("big" and "upper", respectively). Other types may exist. I still haven't got to grips with their various characters, but those examples that I've bumped into before have been most decent blends. My main gripe (and it is a very minor gripe) with Douji cakes is that it's virtually impossible to get into the wrappers without tearing them, courtesy of the stickers on the back, as pictured above. Gently, gently... pry away the glue, and pray that damage doesn't ensue! The cake looks very pleasant, given its relatively humble pricing. 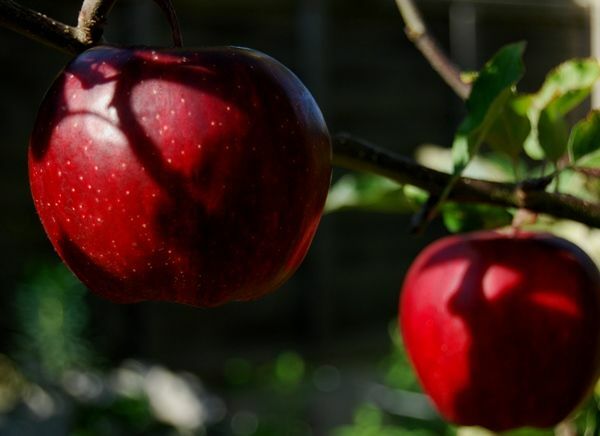 Shown above and below, the leaves are rather large, and look healthy. 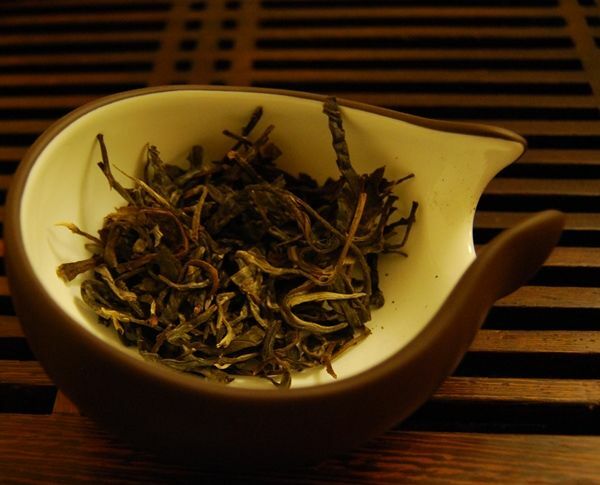 They are flat, big, and even include larger grades - and the odd "yellow leaf" [huangpin], pictured below. As an added bonus, the cake seems to contain fragments of bamboo, presumably from the material used ultimately to make the tong wrapper. Douji cakes are not elegant waifs; they are chunky and enthusiastic. The soup (pictured below) may give you a hint of this, from its dense, yellow-orange colour. It will not surprise you to learn that it has a husky sweetness about it, as of cakes that are not entirely "green". This strong character cohabits with clean and fresh characteristics, mixed up in a hefty, body of decent thickness. It is tart, sweet, and, oddly enough, rather cooling. 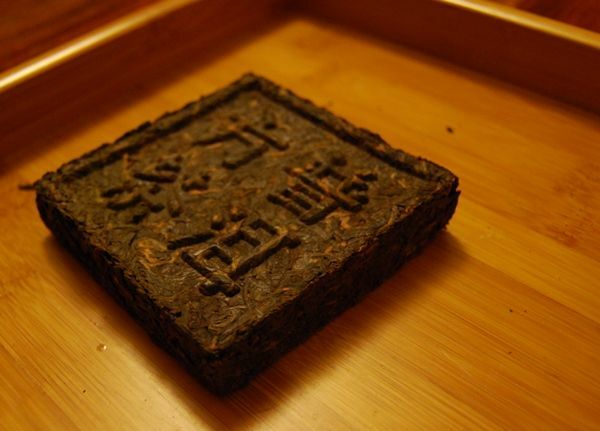 If anything, this reminds me of the "coloured peacock" (kongque) blends from Menghai Tea Co. - it is a good, strong, clean example of a mainstream cake. I enjoyed the session, perhaps because it marked the end of a period of student examinations, but it is not the most memorable cake in the world. 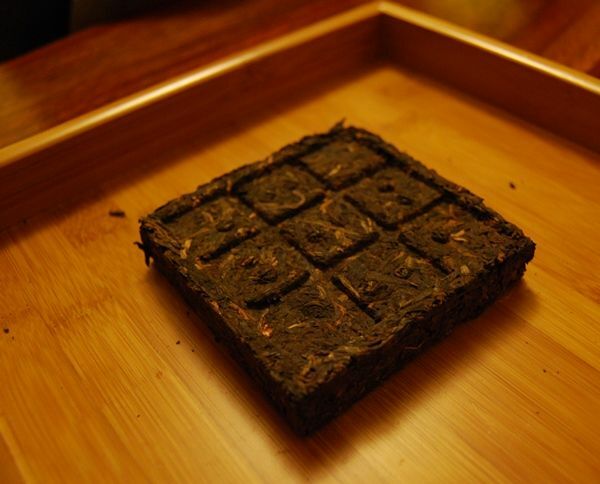 I recall Douji blends used to be available in little bricks; maybe that's the best way to buy them - you might not wish to commit to owning an entire cake of this, but it is good to have some around for a brisk, lo-fi session. 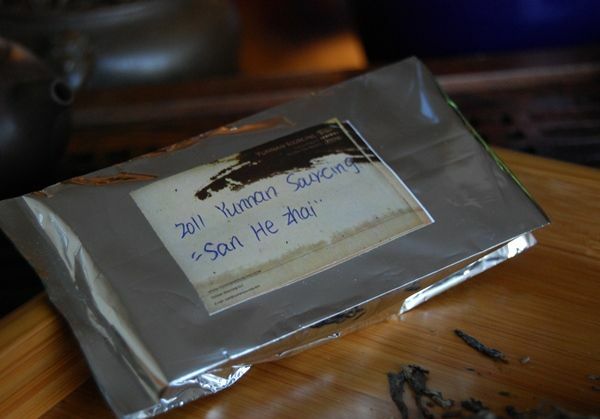 I've been having some fun with the various 2011 blends from Yunnan Sourcing, lately, and this Sanhezhai represents the last of the blended samples that I have. Scott has been reticent in giving out the source of the three villages that were used to form this blend, preferring to keep the exact ingredients a trade secret. This is entirely fair, of course, although he did mention that two of the villages were from Lincang. This may explain why I enjoy this cake so very much. We must drink these blends with a certain perspective: they are inexpensive (at $24/400g, in this case), but have great potential. I ordered my sample of this cake at the same time as samples of the five 2011 autumnal cakes from Yunnan Sourcing, and it must be said that it has turned out to be one of the best of the bunch. The blend, shown above, is tippy, and constructed from smaller leaves. 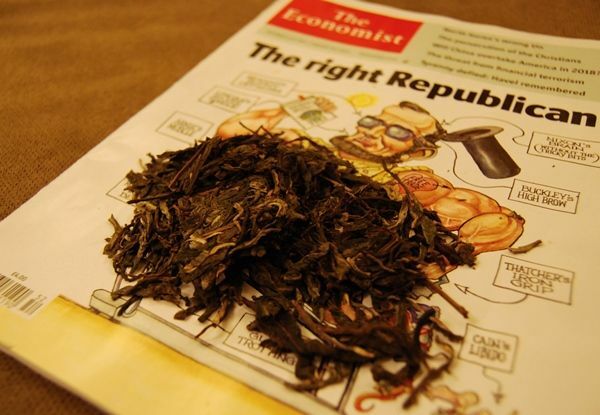 Even on the frosty morning on which I had this tea, the dry leaves exude a pungent fruitiness - the cold weather typically mutes the scent of my pu'ercha, but not in this case. Shown above, the yellow soup is clean and fresh, indicative of decent production. It has, unless I am imagining it, a hint of brown, which I typically associate with "granary" teas, such as those from Lincang. In retrospect, I am particularly pleased to have observed (or convince myself that I have observed) this colour, because I didn't know the majority of the leaves were from Lincang at the time. My notes describe this as "hevay, fruity, and savoury", with a good kuwei [pleasant bitterness in the throat]. 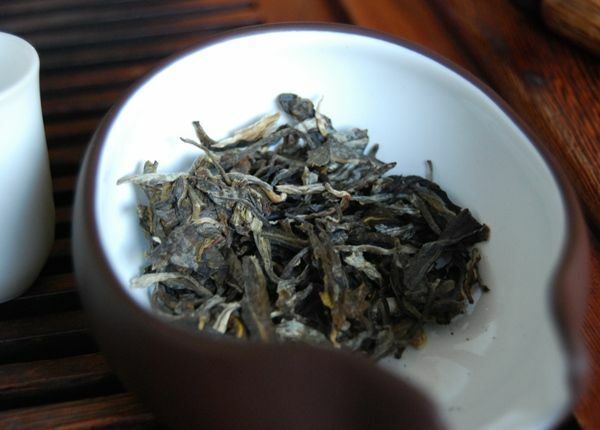 One of the good things about this tea is its surprising longevity: whereas quite a few single-mountain cakes (of a young age) rapidly settle into a subset of the characteristics from the first infusion, this blend gives a beefy, mushroom-like robustness throughout its long lifespan in the pot. I enjoyed this blend so much, in fact, that I gave it the rare honour of taking the remainder of the sample to work with me, to brew in my office (rather than passing the remainder of the sample onto friends, as is my usual habit). Even under the non-ideal conditions of my office, where the water comes from a tap, and is not as hot at the time of infusion as I would like it, the Sanhezhai leaves keep on giving. 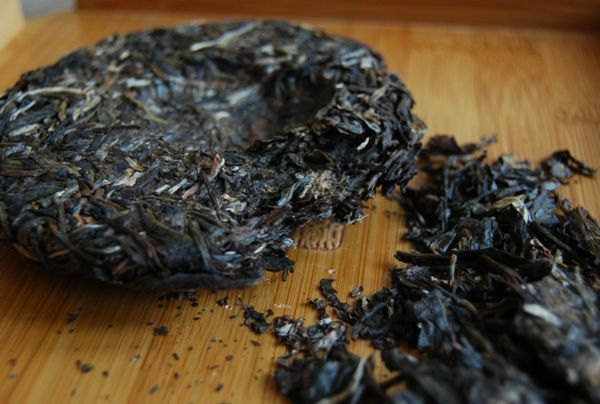 It has no signs of roughness or abrasion in the mouth, and feels decently dense and thick in its texture. I look at the state of my shelves, look at my notes, look back at my shelves, and try to determine if I can squeeze some of these into the precious space remaining. Perhaps a few, to see how they age. It really is an inexpensive and very pleasant cake, that has the power to do well. It would rude to write about the 2011 Shangchun without mentioning its provincial sister blend, the 2011 "Chenyun Yuancha". 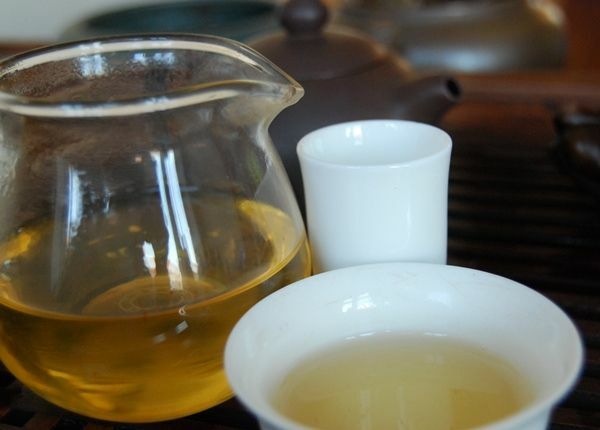 The usual problem with translating "yun" presents itself: it's not quite a "rhyme", not quite a "harmony", not quite a "charming characteristic", but somewhere beyond all three, giving us "Aged-yun Round-Tea". 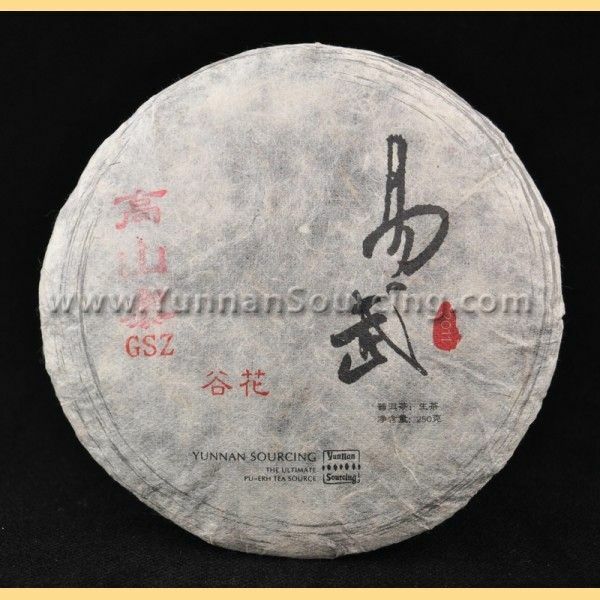 I imagine that Scott (of Yunnan Sourcing) added the "yuancha" to pad it to the mandatory four characters that are expected for the names of most Chinese products, which makes it sit more comfortably in the vocabulary. The price of this cake makes the $27 Shangchun look expensive, because the "Chenyun" costs a mere $16. You cannot get 400g of very much for $16 these days. 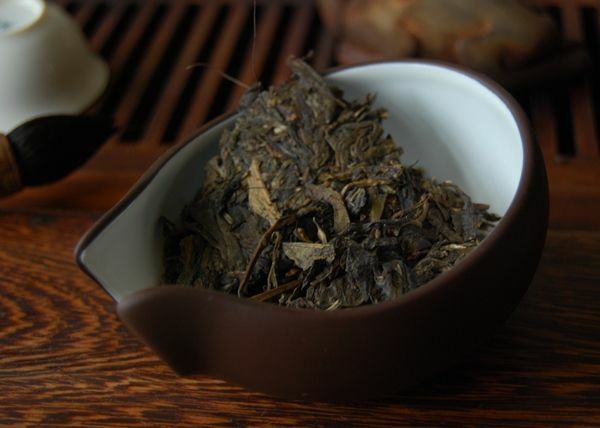 This particular blend comes from Lincang, where its two constituents are 2008 spring maocha from different areas in Lincang. 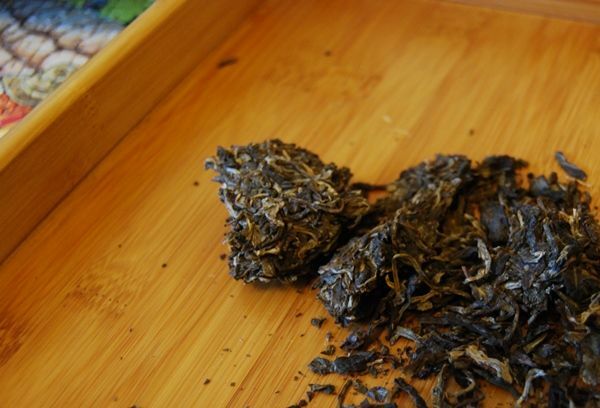 The maocha were found in Dali, deep in northern Xiaguan territory, which Scott bravely recovered under the cover of darkness and brought back to civilisation. 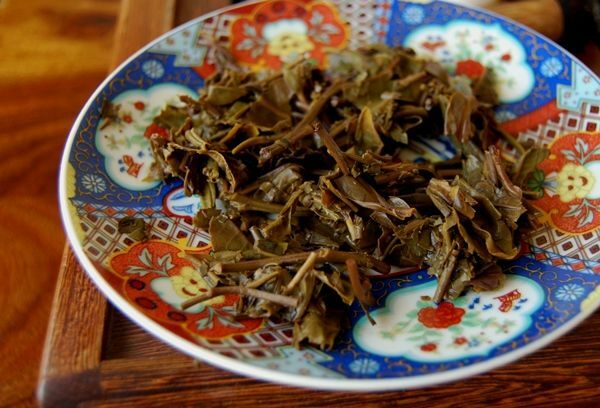 As with its sister blend, this Chenyun blend is made from small leaves. While not the chubbiest Lincang cake in the world, it is clean and well-made. The mouth waters courtesy of a solid aftertaste, and it leaves a decent sweetness to dwell on the tongue. It is a simple, sweet little thing, that is priced appropriately. As with Scott's other blends, it gives the cakes from major-label producers a run for their money. Perhaps it is not the most potent cake in the world, but it could be useful for casual brewing. 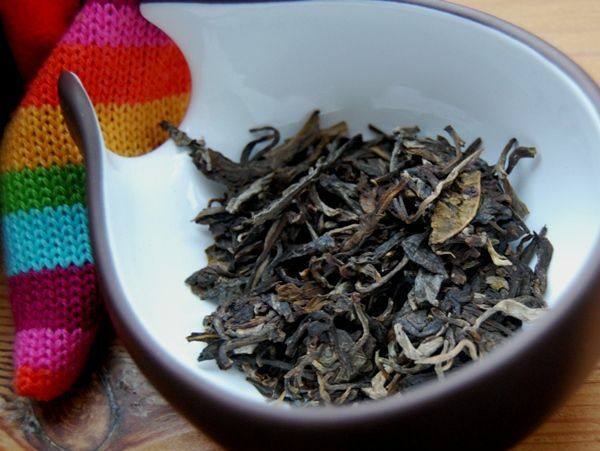 If you're looking for inexpensive tea to bulk out a collection, you could do a lot worse. 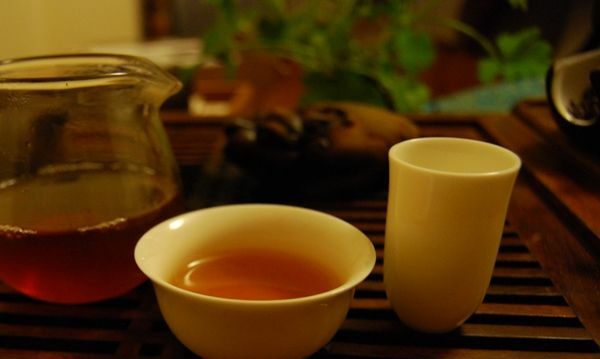 The Shangchun is the better tea, however. All of this single-mountain nonsense is a relatively new-fangled affair, in the history of pu'ercha. Many of the classics are, of course, various blends, with sources that possibly vary from year to year. Therefore, while it is a great pleasure to enjoy the latest and greatest from Guafengzhai or Xinbanzhang, a place in my affections remains for the nefarious, nebulous art of the blended cake. A single-mountain cake can tend towards the one-dimensional character that we might expect from homogeneous leaves. Conversely, a skillful blend can bring complementary traits from various mountains together; if done well, the result can be a symphonic piece, in comparison to the soloist performance of the single-mountain cake. Blends are also great places to pick up a mighty bargain, given that they are less easily attributed to single areas. 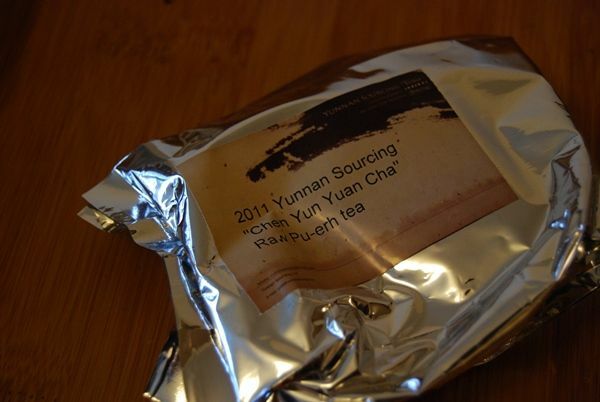 I am greatly pleased to see that Scott of Yunnan Sourcing has some blends in his line-up. Blending is a difficult art, and many of the Mainland celebrities of the pu'ercha world are blenders. Scott seems to be quite accomplished in the art of bringing together different maocha - and it is most definitely an art, rather than a science. 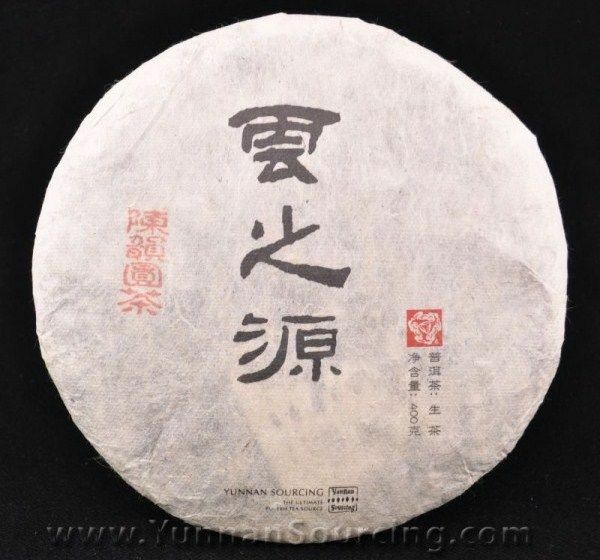 This "Shangchun" ["spring reward", as is Scott's translation, or "appreciating spring", as is my wife's] sells for a modest $27 for a large 400g cake. 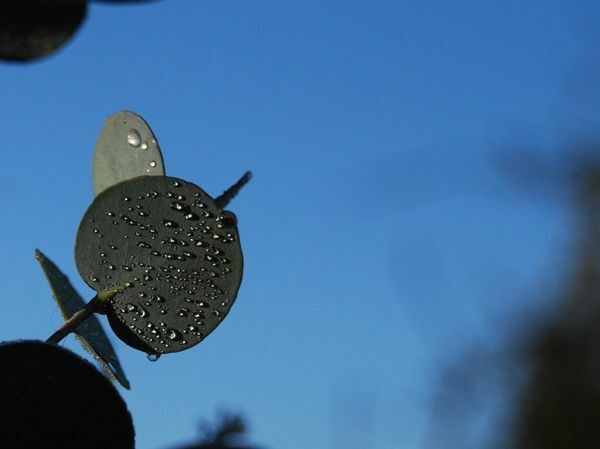 As shown above, the leaves are quite small; they have a strong, grass-like aroma. 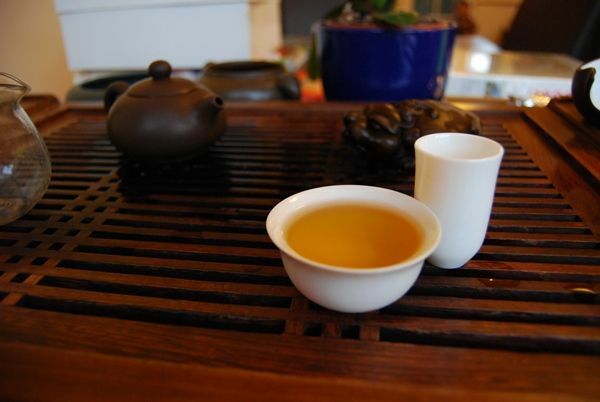 In the first infusions, it is dense in the mouth, and hugs the tongue with its wide, grassy lower notes. 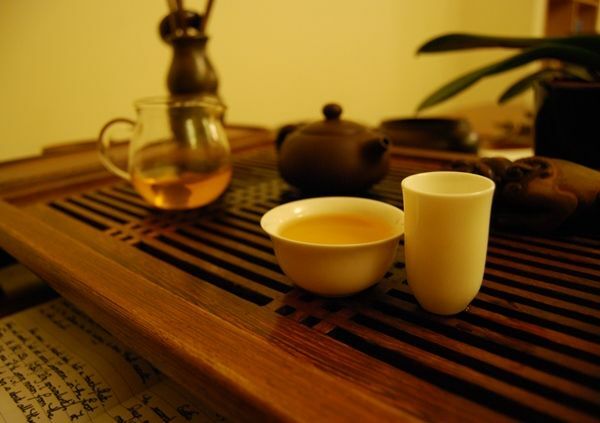 Some teas have a big "meaty" character, and the Shangchun is one of them. You can really get your teeth into it. The complexity of the blend is finished with a little caramel sweetness at the end. 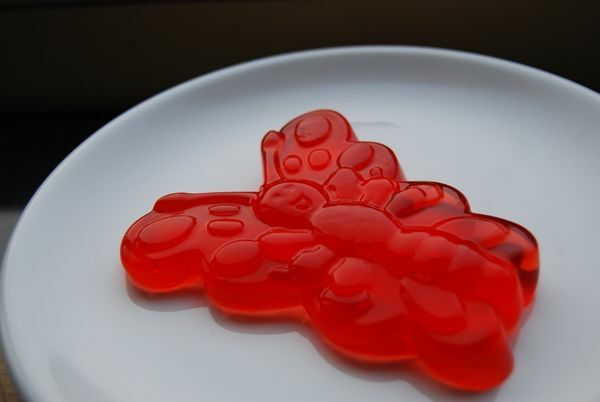 Later infusions remains tangy and pleasant, while the grass character persists, reminding me of Badashan cakes. 2010 Sanhetang - Xizihao "Laowushan"
The days of frenetic Xizihao excitement may be long past, but they still retain a place in my affections. The 2010 Xizihao "Manning", however, does not. Even my mother found it to be bland. Everyone deserves a second chance, and so I (eventually) return to consider the second of the 2010 Xizihao cakes sold by Houde. Houde makes pretty bags, does it not? 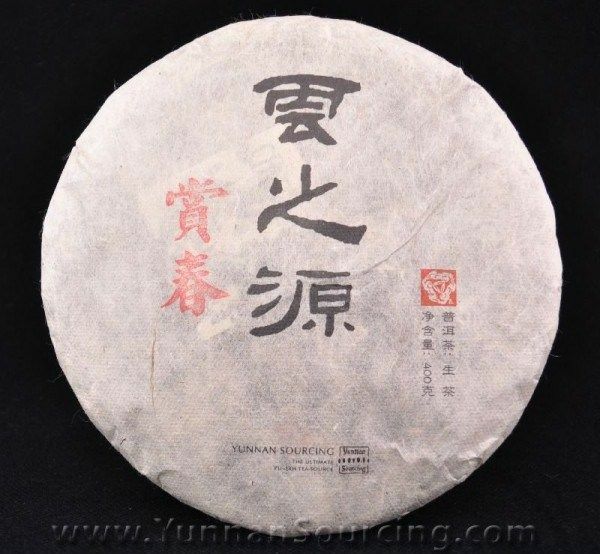 This cake is a tidy $95, and is a Simao cake, approximately from the Jinggu region. My love for cakes from the region has been often described in these humble pages, and so I will avoid repetition. Hopes are high, suffice to say. Observe the human hair, sticking vertically upwards! Even looking at the photograph of the leaves, some time after actually drinking the tea, reminds me just how lovely this cake looks. The blend is rugged and robust (read: containing everything except the kitchen sink), which can be a good sign for the tea. In the hands of the charming chap that runs Xizihao, I expect good things. Straight away, the differences from its sub-standard "Manning" cousin are obvious: this tea pours a bright yellow, whereas the Manning was more orange. As shown below, it looks rather appealing, and appears suitably active, such that it gradually darkens as the action of the air works upon it. This is a vibrant and pleasant mixture of fruity, sweet "top notes", with a husky, savoury base befitting of its Simao origins. 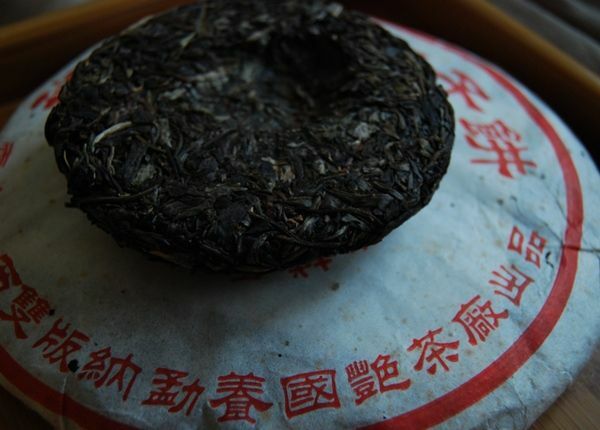 It sits nicely in the mouth, keeping my attention with some decent gushu [ancient tree] characteristics: vibrancy, cooling sensations, promotion of mouth-watering, and a late, welcome huigan. It is, while an accomplished tea, a little light and delicate for my tastes, which call for a rugged, rambunctious soup. It can seem a little ordinary if the attention wanders, but its qualities become obvious if you focus on it sufficiently. After the really quite mediocre 2010 Xizihao bamboo tube, this Laowushan was a welcome return to form. When time is limited, the remaining time perhaps becomes more productive, due to an increased sense of gentle urgency. It is this way with my rowers; it is this way with my working day. 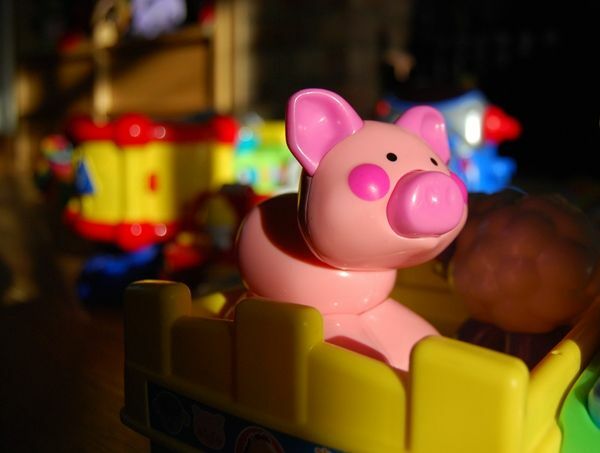 Between the morning Xiaohu routine (dressing / feeding / cycling to nursery) and the evening routine (cooking dinner / reading with Xiaohu / putting him to bed), the hours between are compressed... and yet very alive. It is a fascinating effect - my traditional recommendation still stands, that male readers should impregnate someone to find out for yourselves. It's great. So what is keeping me awake at 4 a.m.? I think Scott is getting busier. I used to drink all of his cakes, but these days can only manage a selection of the better ones. They're usually in the range good-to-very-good, and so it's not hard to enjoy them. This particular cake is the autumnal version of the most expensive of his spring cakes (which sold for over $100). I very much enjoyed that spring cake, but was a little put off by the price. 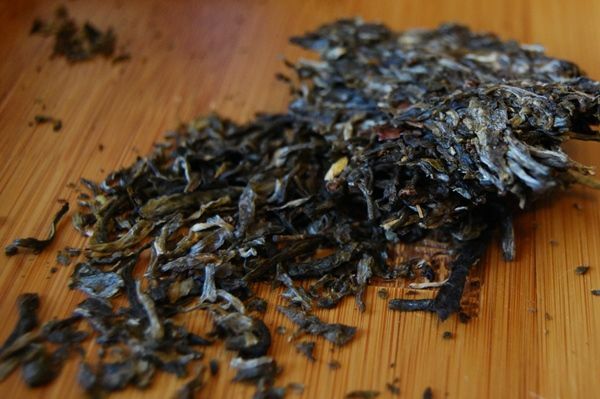 This autumnal ("guhua") tea is around half of the price of the spring version, for an equivalent weight. Scott is usually fair with his prices, and this leads me to suspect that something is "up" with this tea. Unsurprisingly, it looks lovely. Despite my ropey pre-dawn photography, pictured above, you can see the lovely, long leaves. The first sign that this isn't up to its spring counterpart is the particularly quiet aroma; the leaves exude a remote, gentle sweetness, but little more. 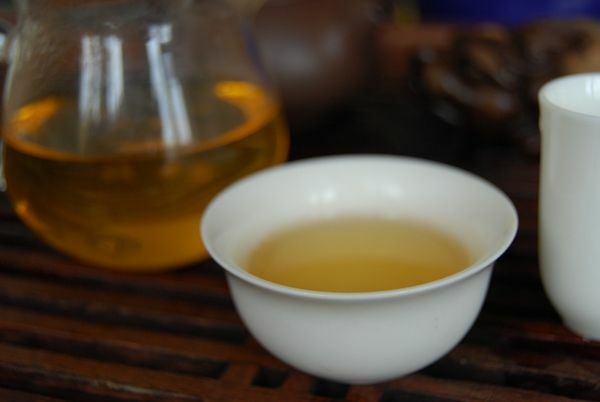 This continues in the cup: the first infusion is almost entirely dormant, while later infusions gently gather a heavy body, with a gently sweet character. However, the heights of the springtime leaves are not scaled. Autumnal cakes are usually less potent, but perhaps darker, richer, and lower. This cake, unfortunately, just seems more distant, weedy, and simple. I drink the remainder of the leaves to exhaustion in my office, background brewing, and they last well. However, the basic sweetness, with a tangy body, are all that remain of my hopes for this cake. If you haven't yet tried a sample of the springtime version, I highly recommend it. This one didn't really enthuse me, though.